At EBS Landscaping our mission is to help our customers, whether commercial, residential or municipal, meet their needs in order to fulfill their vision and stay within budget goals. 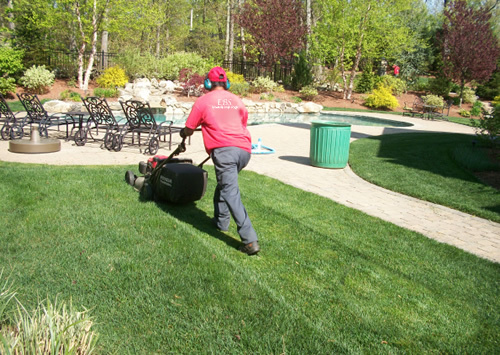 The EBS Landscaping vision is to exemplify a true standard of quality and integrity, meeting the needs and exceeding the expectations of our clientele. EBS Landscaping is fully committed to each project we undertake. We pay close attention to every detail to ensure an exemplary landscape project, lawn, or lot every time. Your satisfaction is our number one goal and we are committed to seeing that it gets done correctly, on time, and within your budget. We are licensed, bonded and insured, and prepared to tackle projects of any size or scope. We are serious about developing and maintaining long-term relationships with our clients. In any relationship, it’s important to get to know one another. When we serve you, we strive to know exactly what you want and expect from us as we partner with you through the whole process, from concept and design development to installation and management. If you would like to get to know more about us, please feel free to contact us at (847) 970-0217 with any questions you may have.